Miami Back & Neck Specialist is a world-class leading center for the treatment of spinal cord compression, scoliosis, and sciatica. Located in South Florida our team of doctors, specialists, and orthopedic surgeons have expertise in back and neck pain offer urgent spine care. The facility assists clients with back pain related to spine imbalance and neurological pain who seek medical attention globally and locally. With our skills and most advanced micro-invasive, you will get the best treatment. We make sure to efficiently get you a diagnosis and treatment plan that will relieve you from the anguish of pain. We encourage our patients to consult with our specialists before considering any treatments for back pain. You are welcome to walk into our offices for personal consultation and examinations. For patients who cannot make into our offices, we are privileged to serve at the comfort of your home through virtual consultation option. Our surgeons will determine the program for your specific condition and medical history. If you are located in Bahamas, do not worry about flight travel or accommodation arrangements. We go that extra mile to ease your operation, by arranging your travel and accommodation with our Fly In Program. Our coordinators will keep you posted on fee and other expenses, and together you can agree on best arrangements that will suit your budget. Look no further but Miami Back & Neck specialists team, your preferred pain solution. Our center will initially prefer non-operative methods to patients. When this conservative care does not help the candidate, then minimally invasive procedures are considered. Dr. Brusovanik, who specializes in minimally invasive surgery makes sure the method minimizes pain and speeds recovery. For the candidates who may need surgery, will be informed and together with our Dr. Brusovanik will arrange for a procedure date. He will make sure you receive the most advanced operation to reduce your pain and bring back your quality life. 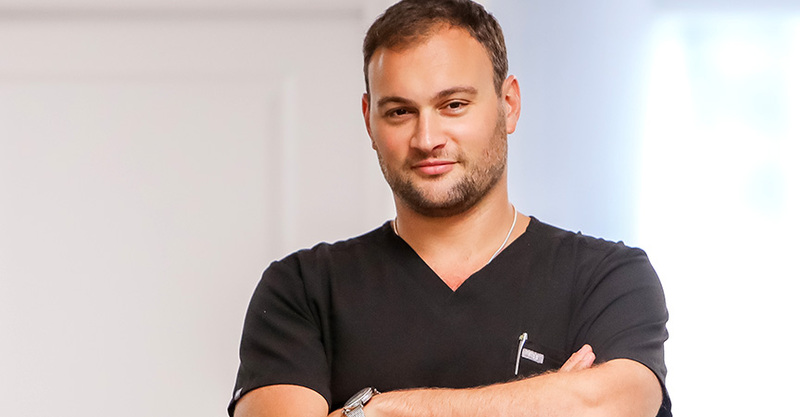 Dr. Georgiy Brusovanik is a minimally invasive spine surgeon of Miami Back & Neck specialists. He is a graduate in Neurosurgical and Orthopedic spine surgeon from Duke University. The skilled doctor focuses on patients with neck and back pains. Through his exceptional skills, the expert has successfully treated several professionals both locally and internationally. The renowned doctor has changed the lives of numerous executives, celebrities, professionals, and Olympic athletes. Miami Back & Neck specialist team and Dr. Brusovanik will strive to lessen your pain and improve your life. We practice scientific based support with time-proven approaches. Visit or reach our qualified specialists and say goodbye to pain. We are committed to giving the best options for our candidates. For more information call us at 1.855.574.4182 or Schedule an Appointment or a Virtual Consultation , or contact us via the contact information below.